DVT/PE Aware - Promoting awareness for DVT & PE, the #1 leading cause of preventable death in hospitals. News broke yesterday that Pittsburgh Penguins forward Pascal Dupuis is suffering from a pulmonary embolism, or a blood clot in his lungs. Unfortunately this isn’t Dupuis’s first blood clot; he had another one after a recent ACL tear. However, Dupuis is not the only NHL player to battle blood clots lately. Many hockey players have been sidelined in the past few years because of blood clots, and these clots could potentially be career ending. In 2012, Adam McQuaid of the Boston Bruins had a blood clot in his chest near his collarbone. In 2013, another member of the Pittsburgh Penguins, Tomas Vokoun, dealt with a clot in his pelvis. This was also his second go-around with blood clots. More recently, in the summer of 2014, Kimmo Timonen of the Philadelphia Flyers had clots in his right leg and both of his lungs. Considering all of these athletes are healthy, in great shape, and under the age of 40, who would have ever guessed they could develop blood clots like this? Some of these players developed a condition called deep vein thrombosis (DVT). It’s a fancy name for blood clots – ones that can occur anywhere in your body but often develop in your legs. Most people get them after injuries, surgeries, or sitting still for too long, such as on long bus or plane rides. Symptoms include redness, pain, and swelling in your arms or legs. Parts of these clots can break off and travel to other places in your body, causing serious complications. If a clot travels to your lung, it’s called a pulmonary embolism (PE). This can be deadly. Symptoms of this may include chest pain, breathing fast, coughing, coughing up blood, or anxiousness. Although certain medical issues can increase your risk for these clots, they unfortunately can affect anyone at any age. The biggest problem with both DVT and PE is lack of awareness. More people die of blood clots each year in the United States than AIDS, breast cancer, ALS, and car accidents combined. That’s hundreds of thousands of people. That’s one person every 6 minutes—and that doesn’t count many more who survive and have long-term implications. Take a few minutes to educate yourself about blood clots at www.dvtaware.net, as it could save your life. Clots are easy enough to prevent – just know your risks and move your feet to keep the blood moving. Please share this website and help spread the word! Posted in DVT & PE in the News. For the past few weeks I’ve been working on my own original article containing my research to submit to a nursing journal for publication. So far the process isn’t too bad and I’m really excited for where this is going. I learned a few days ago that my full honors project is available online, along with other student created projects. In order to access it you must go to the website for Rhode Island College (www.ric.edu) and click the link for Adams Library. Once there, you select “Digital Commons” at the top of the page and then chose which subject the paper is under. Mine is located under “Nursing.” Then all you have to do is scroll down to find the correct title and click the link to get to my paper. The paper title is “Increasing Public Awareness of Venous Thromboembolism Through Social Media.” Here’s the quick link: http://digitalcommons.ric.edu/honors_projects/89/. It’s a bit of a long paper, but I think it’s interesting. Happy reading! It’s been a while since my last blog post and there’s a lot of updates to report on. First of all, I’m no longer a nursing student…I’m a registered nurse! I spent the end of my senior year making various presentations about my project. It was a huge success! The faculty and students who attended the presentations learned a lot and gave valuable feedback too. I’m working on getting the results of my research published in the near future, so stay tuned for that. In honor of March being DVT Awareness Month, I decided this week I would share with you all an easy little acronym to recall the signs of a deep vein thrombosis (DVT). Just to refresh your memory, a DVT is a blood clot that can form anywhere in your body (often in your lower legs) when you aren’t moving around as much as you usually do. People develop them on airplanes, long car rides, after injuries, in the hospital, and tons of other times. On top of that, anyone is at risk (old and young)! Being pregnant or on birth control pills, if you’re a smoker, if you’re overweight, or have any genetic blood disorders or a family history of clots increases your risk even more! The real danger of having a DVT is when the blood clots travel around your body and go to your heart, lungs, or brain. That can be fatal. In fact, over 100,000 people in the US die every year from blood clots that go to their lungs (pulmonary emboli). It’s the #1 cause of preventable death in hospitals. Become AWARE of the signs of DVT and if you experience any, seek medical help immediately. Additionally if you have any of these signs and feel short of breath, have trouble breathing, have chest pain, or slurred speech call 911 immediately. Check out the rest of this website to learn some more…but seriously, check it out, what else are you really doing? 5 minutes on this site could save your life or the life of someone you know. That’s better than spending another 5 minutes procrastinating on StumbleUpon or Tumblr. Please do me a favor and in honor of DVT Awareness Month, share this website with at least one person you know, and ask them to do the same. Help other people to become AWARE! Posted in DVT & PE in the News, Resources. One person dies every 6 minutes from DVT/PE! Explore this website to learn more about it. My survey was closed several days ago – with 325 total responses. Thank you to all of those who participated! This research has been a wonderful experience. I’ve been working on analyzing the results of the data, but I’ll keep those under wraps for now. Stay tuned in the near future because the results will be revealed eventually, but in the mean time, don’t forget to wiggle your toes! Posted in Project Plans, Site News. If you haven’t had a chance to take my quick 5 minute survey about DVT/PE, it’s available at http://www.surveymonkey.com/s/dvtaware. For anyone who already has taken it, thank you. Please email it along and ask all of your friends to take it too. It could potentially save you life someday or the life of a loved one. As promised my survey is finally available! Please take this survey, it’ll take 5 minutes to test your knowledge of DVT/PE and contribute to my valuable research. Thanks! Deep vein thrombosis and pulmonary embolism can affect ANYONE at ANY age. Click the link to hear the story of three women who all suffered from DVT/PE. Their stories are a reminder of just how serious this problem is and how important it is to be educated. It could save your life. 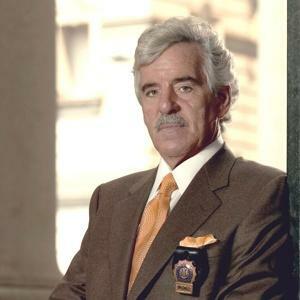 Law & Order star Dennis Farina died on Monday at the age of 69 from a pulmonary embolism. Check the story out by clicking the link below.